Full Hull and Waterline versions, the new rage of quality easy models. The Towada-class is a class of fast combat support ships of the Japan Maritime Self-Defense Force. Three ships of the class were built between 1985 and 1989. The ships have the hull designator AOE. 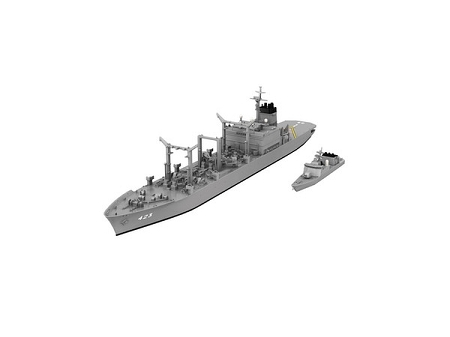 The Towada-class was designed as an enlarged, improved version of the Sagami-class fast combat support ships. The vessels are capable of mounting the Phalanx CIWS by design, although this is not a common occurrence. Copyright Model Warehouse. All Rights Reserved. by 3DCart eCommerce Solutions.